ZOOB BuilderZ 125-Piece Kit Just $18.59! Down From $43! You are here: Home / Great Deals / Amazon Deals / ZOOB BuilderZ 125-Piece Kit Just $18.59! Down From $43! Amazon is currently offering this ZOOB BuilderZ 125-Piece Kit for just $18.59 down from $42.50 PLUS FREE shipping with Amazon Prime or for orders $25 or more! This box of 125 brightly-colored pieces comes with 5 instruction guides to make over 30 creations including a ZOOB-Dactyl or a Crown (or create your own). 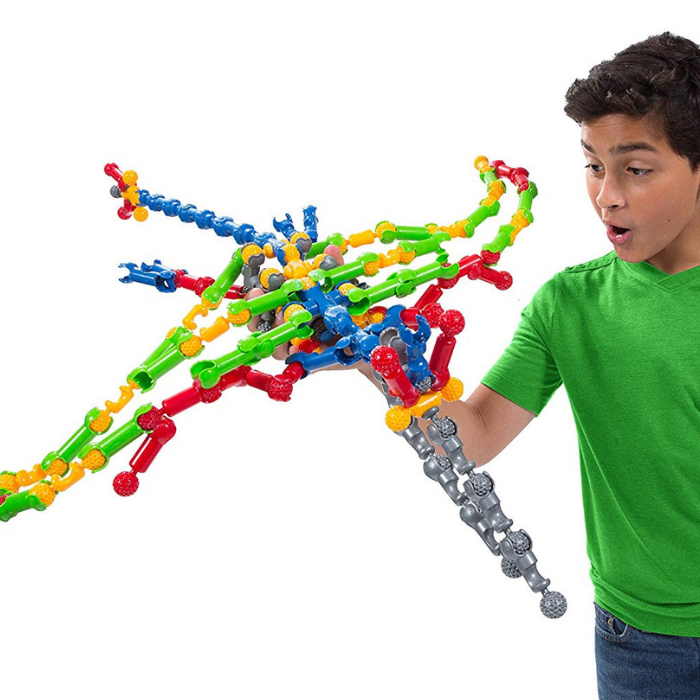 ZOOB is not like any other building set – the pieces include gears, axels and joints that snap, click, and pop together! With rotating, spinning and extendable parts you can actually design a toy to play with, instead of just building something to look at. Create monsters—or vehicles—or monsters that turn into vehicles. The possibilities are as endless as your imagination.